An Italian born and bred, passionate man with something of an early vision. After studying medicine and briefly dabbling in photography, Armani became a Milan shop-window designer. He would jet up to London to study the ways in which the fashionable city designed its shop-windows — and the ways in which local people clothed themselves. Instead of promoting the continuation of low-calibre fashion, he looked to the Dukes. And he shocked the world with his idea that one could merge high fashion with every day wear: that one could apply a high-fashion mantra to every day perfume application. He dared to alter day-to-day life and manipulate higher stakes. Why not put one’s best foot forward, fashionably, be it on a European cobblestoned street or a middle-American highway? 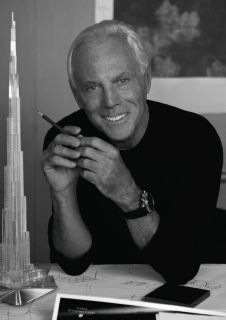 After launching his own fashion line in the 70’s, Giorgio Armani began expanding: he drifted into perfume industries in 1981. His first female perfume line was unfortunately discontinued; however, Armani Eau Pour Homme, released in 1984, became an instant olfactory success. 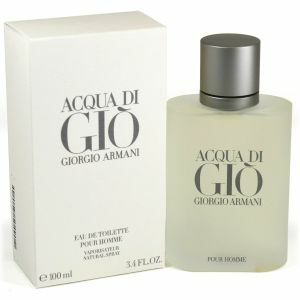 The mid-nineties brought about the release of acclaimed Acqua Di Gio Pour Homme. The marine fragrance emulated the Panatelleria Island: where Armani often vacationed. The scent therefore resonated with this idea of the earth and the sun and the Mediterranean breeze. It held notes of persimmon and rosemary, jasmine and deep amber. It showed masculinity with a sense of passion and taste and fruit. The fragrance has since won the Allure Best of Beauty Award. In 1998, Armani began releasing twin perfume lines: “She and He”, which initiated a sort of hazy-wooden smell with hints of a sort of oriental depth. From there, designer repeated the She and He lines with Emporio Duo’s, which was fresh, clean — meant for spring and summer months. The success of this fragrance allowed its continued sales and has not been discontinued. 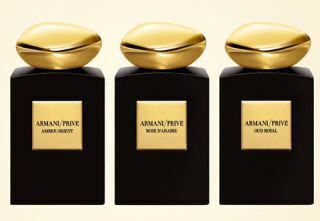 Giorgio released his unique Armani Prive fragrances in 2004 starting with Ambre Soie. Unisex and incredibly expensive, it had limited distribution. The rest of the fragrance line was exclusive, much like Ambre Soie and included, but not limited to Prive Bois, Prive Eau de Jade and Prive Pierre de Lune. The unisex fragrances were available for a short time and then were shot from distribution. Luckily, these oft-sought Armani Prive fragrances are available again from summer 2003 — going against the idea of this limited release. Once Ambre Soie was sold out, for example, it was swiped from all shelves. It was not to be found, but not to be forgotten. With the re-release of all ten Prive fragrances, designer created additional four scents: Oud Royal, Ambre Orient, Cuir Noir, and Rose D’Arbie. They are inspired by the classic tale — the Arabian told “One Thousand and One Nights” and hold Giorgio Armani’s incredible interest in the oriental fragrances. Oud Royal evokes oud — which is the wood from the Agar tree, found in India. Cuir Noir hold much depth in its leather feel, while Ambre Orient holds amber notes. Rose D’Arbie sends a sweeter, unisex rose flavour. They are incredibly unique, each fragrance of the Prive line. This is a true benchmark for what all fresh-aquatic scents aspire to be! Acqua Di Gio is suitable for any age, however it is mostly popular amongst teenagers. Best described as a nice citrusy clean fragrance that eventually dries down to a calm woody scent. Mostly day time spring and summer cologne as you would prefer something stronger for your night out. Longevity is well over 6 hours, and projects very handsomely with many compliments. 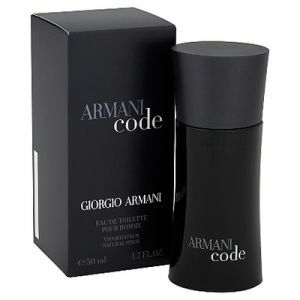 Released in 2004, Armani Code is the first masculine oriental-style fragrance released by famous Fashion House. Giorgio Armani once said that bottle design is inspired by the "satin lapels of an Armani tuxedo". It’s powdery, dark and mysterious, but ultimately classy fragrance that seems to attract women like a powerful magnet. In some ways it's a clean interpretation of a spicy scent with an intimate touch of citrus and leather. The projection is just average, so you won’t offend your office colleagues. 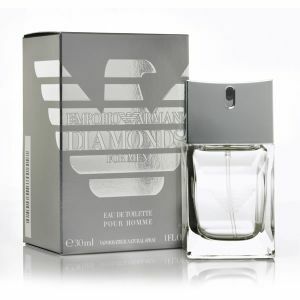 Created by Jacques Cavallier of Firmenich, the Emporio Armani Diamonds for Men is the most natural, quite close to the skin, scent of a clean man with a class and sophistication. Perfect warm cologne for winter, but should not stop you from using it during summer breezy days and nights. The ingredients blend seamlessly during the musky drydown, while the opening of bergamot and guaiac wood is quite fresh and enticing. There is a quite remarkable marine note that will keep you in a good mood throughout the day. In 2007, designer released Armani Attitude for Men. Everything about it carried the sleek, marvellous fashion history of Giorgio himself. The ad carried a masculine Italian man — a greased over hairstyle. He embodied strength, elegance — he was a sheer portrait of classic, Italian cinema. The actual fragrance comes in what appears to be a cigarette lighter: in this age of decreased smoking, one can still initiate this rather cool flip of the lighter, spray a light, men’s cologne and proceed with this air of Italian strength and livelihood. The scent is intense: top notes yield a sense of coffee and lemon while middle notes follow with softer lavenders. The deep notes bottom out with the woody cedar and long-lasting amber. Since he began creating fragrances in the early eighties, Giorgio Armani has released over 98 perfumes. His work is the marriage of complex styles with simplistic forms: it is the joining of high-fashion with every day wear. He understood the ways in which his shop-window appealed to the passers-by; he understood what caught the senses, spurred people to enter the store. And he has continued this passion into the new century. Giorgio knows that just a hint of jasmine can pulse a scent into a different emotion; he understands that the cigarette-lighter packaging of the Attitude for Men can emit such a moment of zeal, of passion. His colognes carry this timeless masculinity, this Italian sun and earth. They provide freedom and a sense of sophistication, all at once. The world looks to Armani for a heightened attitude, a new perspective.